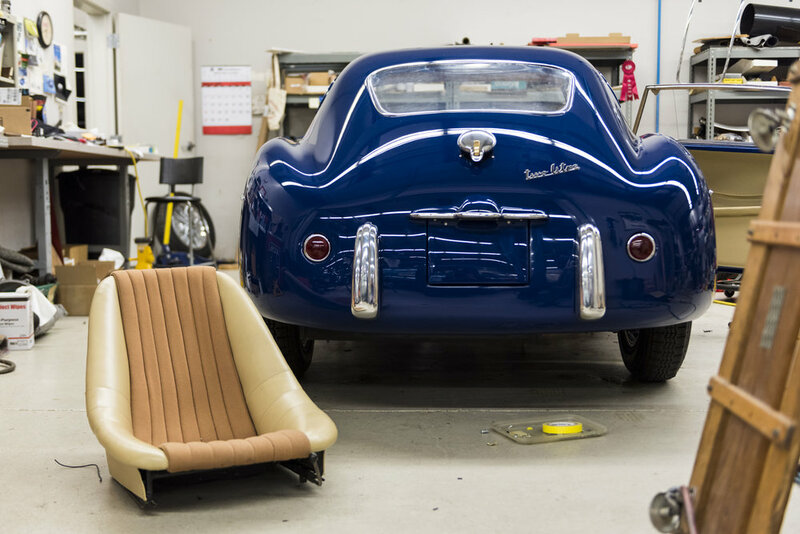 Upholstery — Automotive Restorations, Inc. The trim shop offers award-winning interior restoration to original specification or custom upholstery crafted to your preference. We button tuft, custom make convertible tops, restore vintage fabric or leather car bodies, tool rolls, car covers, or anything else needed. If it is flexible and automotive, we have the skill and experience to produce it.